I’m absolutely in love with my Lassig Green Label Neckline Diaper Bag! It recently won the 2016 Eco Excellence Award. 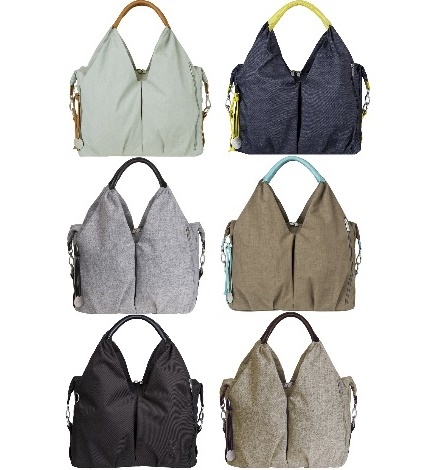 The Lassig Green Label Neckline Diaper Bag keeps me organized and looks like a super-chic handbag. 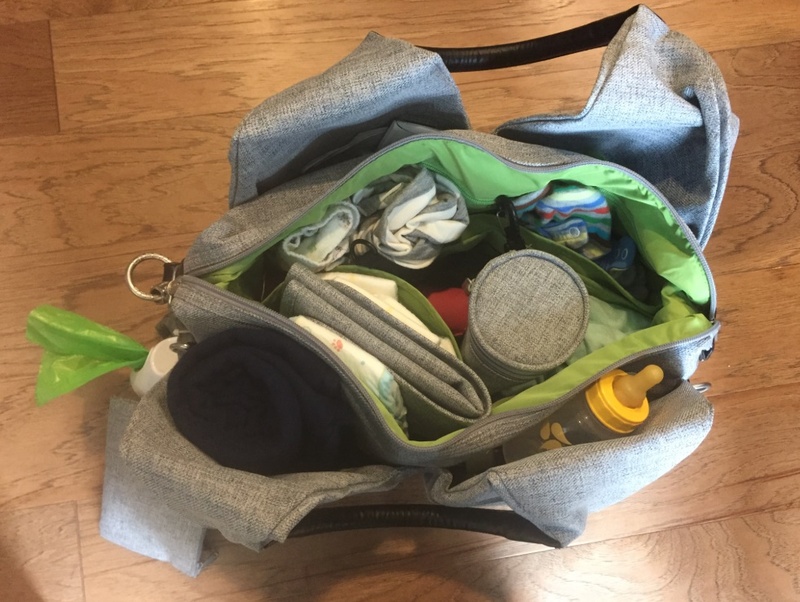 Made from pollution-free and recycled plastic bottle fabrics, it includes a 2 large main compartments, lots of pockets, a changing pad, wet pocket, zip pouch, and more. Also notable is that it’s free of PVC, AZO, Phtalates, Nickel and Cadmium. Mine is in Black Melange. 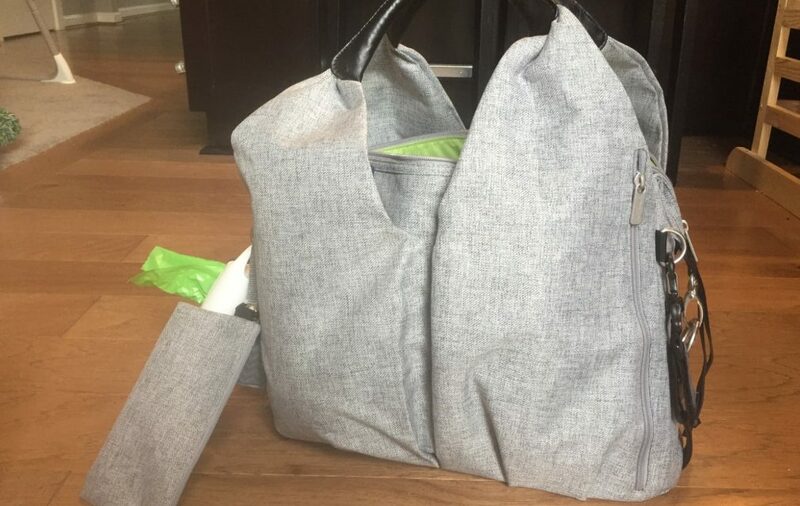 What makes the Lassig Green Label Neckline Diaper Bag the ultimate travel diaper bag is that there’s a place for everything. When I travel, I need help organizing all the baby stuff. I like to know where to find specific items and this bag has so many compartments and storage spaces that it’s easy to locate things. I also really appreciate that there’s a mini cooler bag for storing cold/frozen milk. We usually grab a bottle of milk at the airport for our toddler to drink on the airplane and this will keep it colder a bit longer. There are several hooks on the bag for attaching additional items/toys that don’t take up precious “inside the bag” space. It also features a wet/dry area for stashing soiled clothing. Since it is large and has so many compartments, it’s easy to overfill this bag. I think it’s best to empty the bag completely and lay out everything you plan on packing. Make sure you are only packing the things you’ll need (putting the rest in your checked luggage) and then pack up the bag. Wallet with I.D. : While you should always pack your I.D., I feel the need to make this the first item because Mommy Brain gets us all from time to time! Small nylon bag: Put your diapers, wipes, creams, etc in a small nylon bag so you can grab just your diapering essentials out of your bag. This is especially helpful for those tiny airplane bathrooms or if you are in a public restroom and don’t want to set your diaper bag on the ground. I usually pick up a few at ABC Stores in Hawaii because they are colorful and remind me of Hawaii! Extra diapers: Pack twice as many diapers as you think you’ll need, especially if you are on an airplane because you won’t have an opportunity to pick up more if you run out. I’ve never regretted bringing more diapers, but I have regretted not packing enough. Extra wipes: Not only are wipes needed for diaper changes, but they are also helpful when cleaning up spit-up, spilled milk/formula, etc. Extra clothes for Mom & Baby: I like to pack an extra shirt for myself and at least one extra outfit for baby, especially on the airplane. Burp cloths: I like to bring at least 2 thin ones with me just to be safe. You never know when you’ll need to wipe up something or protect your clothing. 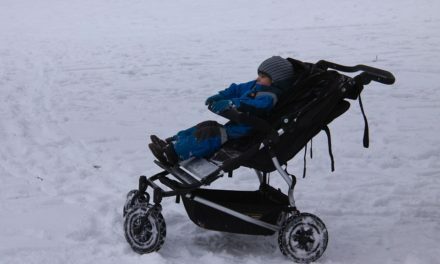 I’ve also used them as an extra layer of warmth on my baby on chilly flights or in the car. Lightweight blanket: This comes in handy on chilly flights for baby or for Mom. You can use it as an extra large burp cloth. You can also use to swaddle baby. My favorite blankets right now are Tula Blankets because they are larger than regular swaddle blankets and they are so soft. My son seems to nod off as soon as we wrap one around him. Lysol wipes: If your baby likes to touch everything, you’ll want to wipe down airline trays, rental car seats, etc while traveling. I’m normally a fan of exposing babies to some germs, but things can get pretty gross when traveling. I usually get the travel-sized packs from Target. Nursing Poncho: I always bring one when I’m traveling abroad, especially if I’m not sure of the cultural acceptance of nursing in public. I like to be discrete when traveling and it helps keep baby focused on eating rather than being distracted by new people, places, smells, etc. You can also put a nursing poncho on if it’s cold on the airplane or if you want to protect your shirt from spit up (or cover up a shirt that already has spit up on it.) My poncho from Covered Goods also slips over our car seat to protect my baby from the weather. Formula (personal choice): Even though I’ve nursed both my boys, I like to travel with a couple of formula samples just in case. It’s something that I pack and rarely need. It’s come in handy when we are abroad and baby needs a bottle and nursing isn’t feasible. Two Bottles: If your baby is on formula or you are bringing pumped breast milk, I recommend having 2 clean bottles. I’m not always able to wash the bottle completely in the tiny airplane bathroom (and the water never seems hot enough.) Having an extra bottle helps buy some time until you can properly wash one. Snacks: Bring snacks for the whole family. I always have stuff for my toddler but sometimes forget to grab something for myself. No one likes a cranky mama when traveling. Freezer Bags: I always stash 2-3 Ziploc Freezer Bags into my diaper bag. This is essential for containing dirty diapers (if a trash isn’t available) and soiled clothing. I also put smelly burp cloths, garbage and anything else I don’t want floating around in my diaper bag into a Ziploc to keep my diaper bag cleaner. These also work as vomit bags for older children and adults. Pacifiers: If your baby takes a pacifier, be sure to bring 3-4 in your diaper bag (and pack several more in your checked luggage.) This helps soothe a fussy baby on an airplane and gives you one more tool to try. We tend to drop them on dirty airplane floors or they disappear, so the more the merrier. Zutano Booties: These are hands-down my favorite baby booties. They stay on my son’s feet (much better than socks do) and are adjustable. 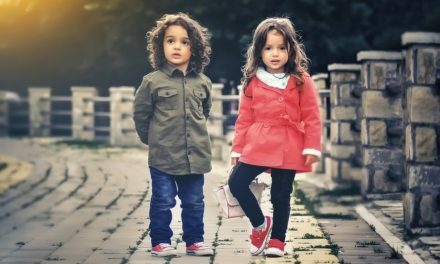 I usually have my son wear one pair and I pack another in the diaper bag because they hardly take up any space. They come in bright colors/prints, so they are easy to spot in your diaper bag. 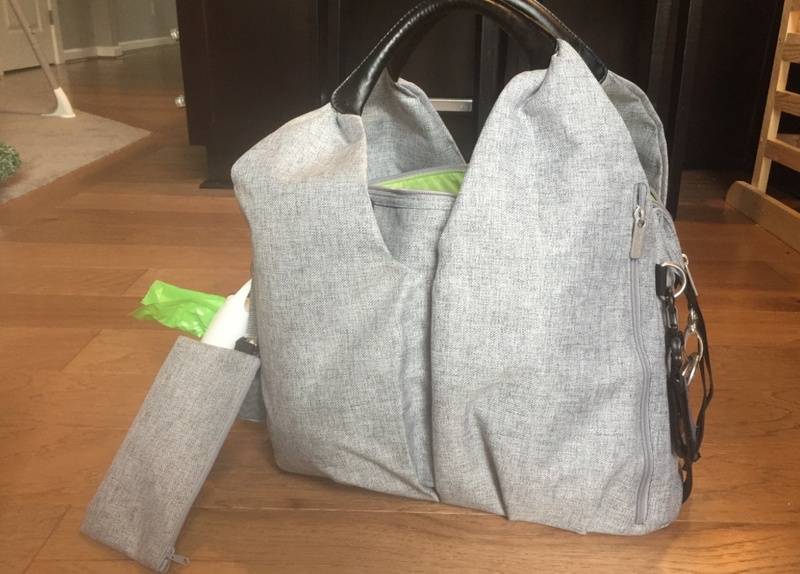 Lassig provided the Green Label Neckline Diaper Bag for review purposes. To learn more about the Lassig Green Label Diaper Bag, follow them on Facebook, Twitter, Instagram and Pinterest. 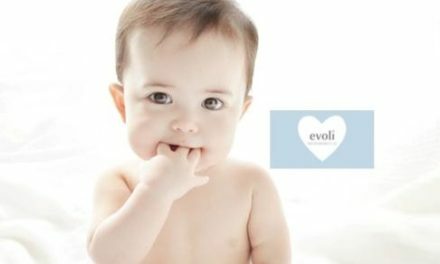 Spoil Your Baby This Summer With Evoli!